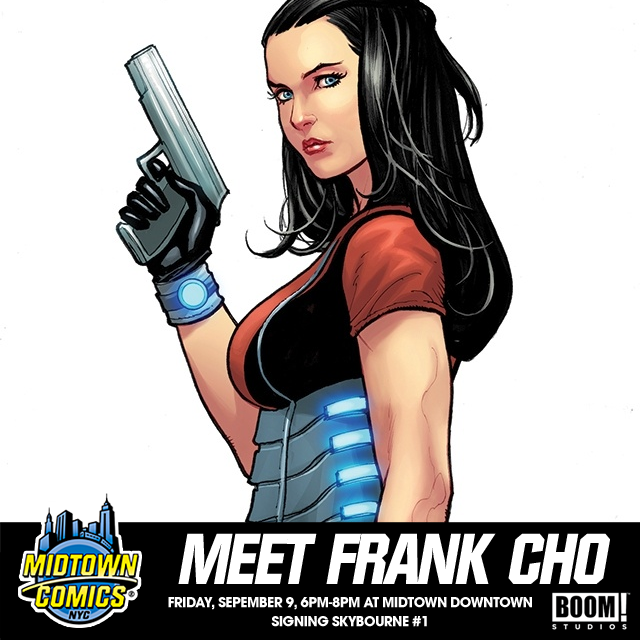 Frank Cho will travel to Midtown Comics Downtown to sign copies of his upcoming BOOM! Studios series, Skybourne, for fans! The talented writer and artist will be there for two hours. Want to attend? All you have to do is enter the raffle below! Good luck, comic fans! Skybourne #1 goes on sale 9/7. Goodbye, 2015. Hello, 2016! 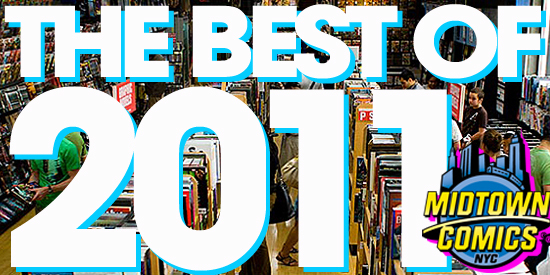 Everyone has their own reasons to look forward to the new year, but there’s one thing we can all agree on: there’s a lot of exciting new comic books coming out! Plenty of great titles will continue into 2016, but we’re going to take some time to shine a spotlight on just some of the many new comic book series that’ll go on sale in the next few months. Prepare to add more comics to your pull list, readers! Comics Invaded! Musicians, Comedians, and Other Celebrities Crossing Over Into Comics! Let’s talk crossover comics. Today, creators are coming from every environment you can imagine for a chance to write stories, and make their way into the beautiful medium we know as comics. There are comedians, musicians, and actors galore putting out books they’ve probably been dreaming up since they were kids, and we’re all benefiting. One of my picks this week is Evil Empire #1 by Max Bemis, frontman for the band Say Anything, a band I grew up listening to. Last year, his book Polarity released by Boom! Studios was an underdog hit and sold out everywhere. Today, you can grab the first issue of his new series for Boom!, Evil Empire. DIY and Indie spreads across most mediums today, with more independent films and music being made than ever before. My vegan friends can rejoice in Liberator – a title by Matt Miner, that told the story of vigilantes looking out for animals who can’t speak for themselves. Now, Matt brings us an interesting new crossover, Liberator Earth Crisis Salvation of Innocents (issue #1, released March 12, will be available to order via the Midtown Comics New Releases page today!) being released in tandem with a new concept album from metalcore legends Earth Crisis, titled Salvation of Innocents, telling a different side of the same character’s story. Other musicians like Gerard Way (of My Chemical Romance fame), for example, have found a strong following in the indie comics scene, and I don’t see them going anywhere soon! Comedians have also erupted as new talent for sequential storytelling, with Brian Posehn’s Deadpool and Taran Killam’s Illegitimates being so successful, other comedians will surely follow. One of my current favorites, The Thrilling Adventure Hour, collects original stories drawn from the popular Thrilling Adventure Hour podcast, and Paul F. Tompkins’ mustache has never looked more wonderful than it is depicted in this hilarious book. With creators from all mediums joining forces to make comics, we can only hope that our community grows larger and stronger, and that we can all support original thoughts, art, and movements that leave us better people in the end. As always, find my picks for the week of March 5 under the break! They won’t disappoint! It’s that time of the year! The past 12 months have whizzed by in a FLASH (puns always intended)! There was a lot going on in the year 2011… let’s take a look at some of the best 2011 had to offer!